Come, volunteer and share your gifts with us! We know from experience how rewarding it is to help people find their passion and live their purpose. We want that experience for you, too! To start, just fill out our brief application. Then we will get in touch to find an activity that best fits your talents. Volunteers assist with everything from community activities to at-home leisure. 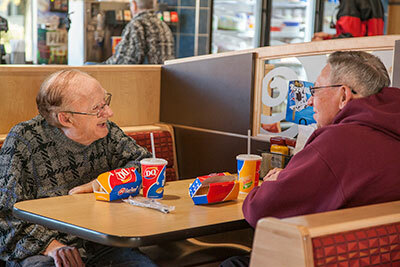 Many of the people we support love getting to know new people – and we know you’ll enjoy it too. Stop in and ask for an application. Print our application and return it to Valiant Living. Call us at (605) 256-6628.